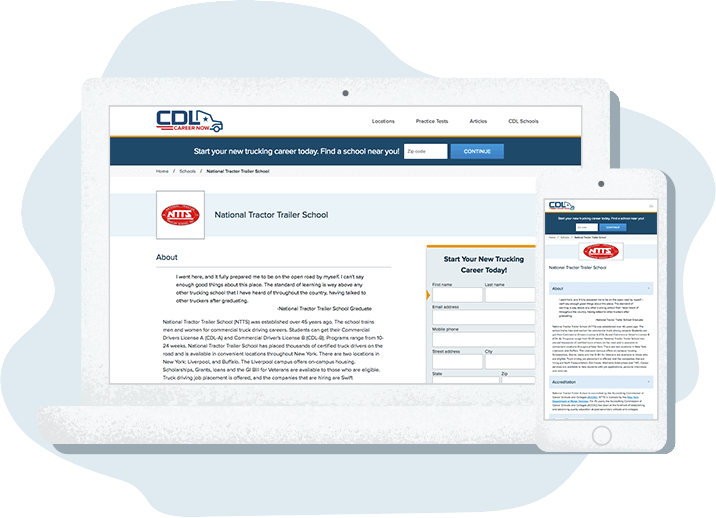 Add your school to the most comprehensive network of trucking schools in the country! Every day, thousands of potential drivers visit CDL Career Now in search of the best truck driver training program around. For many years, CDL Marketing has been boosting enrollments and branding for trucking schools across the USA. As a proud member of the Commercial Vehicle Training Association, we are here to battle the driver shortage and pave the way for more truck drivers. Enroll more students and build your brand reputation! Fill out the form and we'll be sure to get in contact with you shortly.